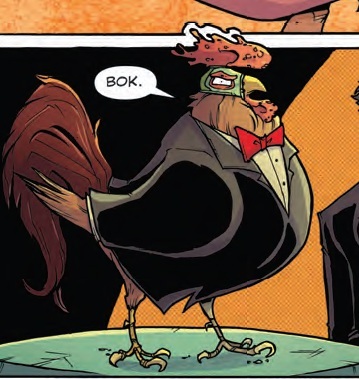 It’s no secret that I am beyond fond of the comic book, Chew. I have enjoyed the series since it started.Every one of the 30 issues thus far have been good. There are not a lot of books you can say that about. 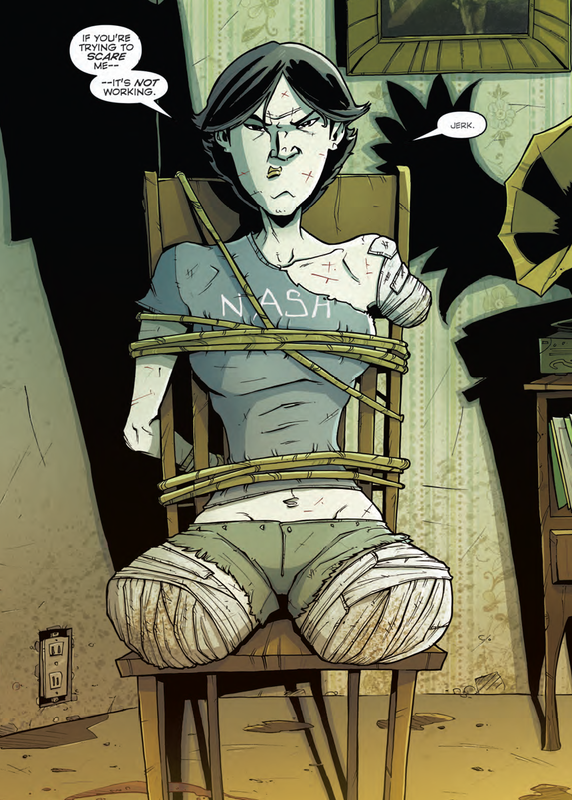 John Layman and Rob Guillory know what they are doing, and their combined style is one for the comic hall of fame. If that doesn’t bring you joy. Well, you might be broken. Next up (and I am skipping ahead in the issue a bit) is Cesar’s realization of where he knows Toni from. Once upon a time, they were kids playing in a park together, and Toni told Cesar his future … after she bit him, of course. Does that mean there is a happy ending on the Chew horizon? A girl can hope. Now onto the real business of Chew #30. In a balls to the wall attempt to protect her twin brother Tony, Antonelle Chu goes head to head with the Vampire. Why is that so huge? Any twin would do the same. Eh. Maybe. The Vampire is a really awful guy. Besides, none of them would do it with as much moxie as Toni. You wanna piece of me!? She had all of her limbs, until the sadistic Vampire got a hold of her. There are only three words to describe the image above. Like. A. Boss. The Vampire is after Toni … for Tony, her cibopath brother. We don’t have all of the details, but it would seem, the Vampire, who is also a cibopath, has become a bit crazed in regards to his abilites. He absorbs those that he eats, and now he has taken to eating those with powers like him. What would happen if a cibotpath ate a cibopath? Would it be like a lesbian eating a lesbian? Wait. That doesn’t make sense. It would be like … Voldemort eating Harry. I think. What happens next is a gut-puncher. And there you have it, folks. The Vampire kills Toni Chu. This is memorable just by the sheer nature and imagery of it. But there is another facet to this. People die in comics all the time, but they way they die is of particular interest to me, especially how the women die. Here Toni is not just killed, but dismembered, too. The fate of female characters and the often “depowering” that awaits them in superhero books is a comics industry hot-button. The Vampire literally takes power from a person by devouring his victims, and even though Toni dies – the Vampire does not take her power. That is some solid comic industry irony. Well played, Layman. You should be proud. 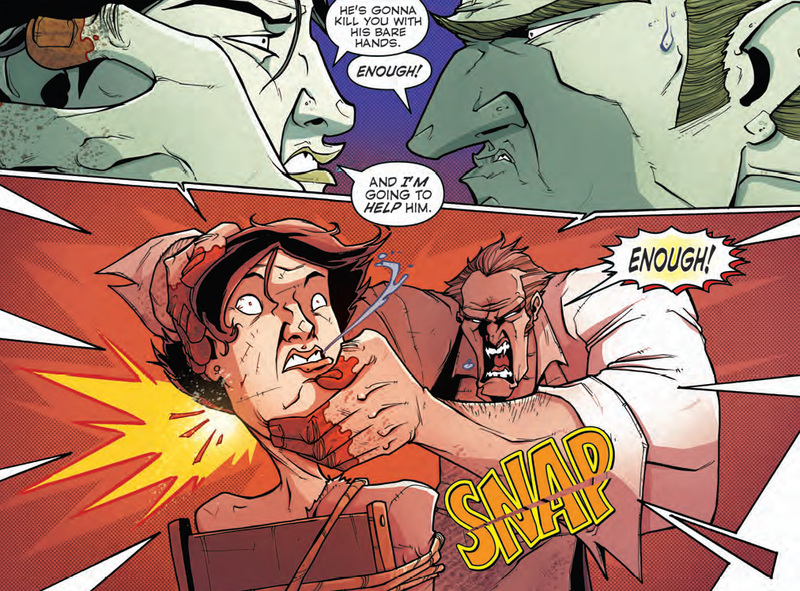 Chew #30 is just a really great issue. The most memorable of the year for this girl. Better than Bond in a tux and twice as deadly.